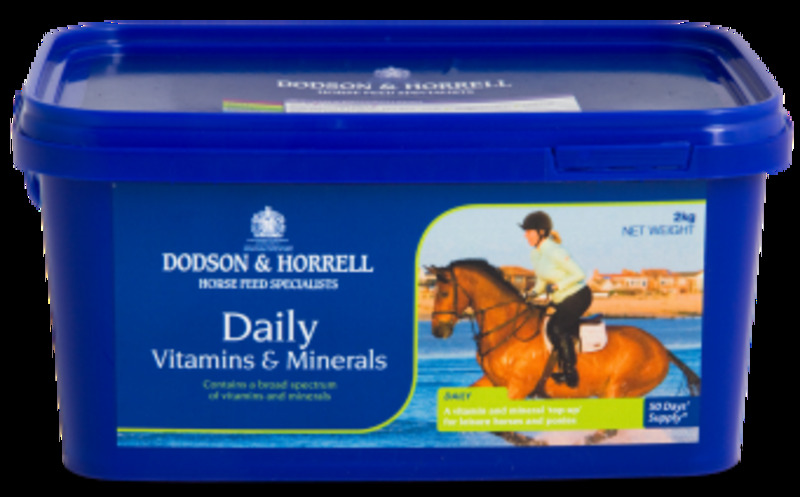 Dodson & Horrell Daily Vitamins & Minerals is a general purpose supplement containing a wide range of vitamins and minerals for a balanced diet for your horse, whatever their size or age. Horses kept at grass, that are not working, prone to weight gain and given small amounts of hard feed can benefit from this supplement to stop vitamin deficiencies from occurring. There are currently no questions for Dodson & Horrell Daily Vitamins & Minerals for Horses - be the first to ask one!